I did not read as many books as I’d hoped, so many apologies if my list of answers is not as robust as my sister-bloggers. A Dance with Dragons (A Song of Ice and Fire #5) by George R.R. Martin – I put off reading this last published book in the series because well it’s the last one in the series that has been published, but it was such an excellent book!! There was a lot of things going on and more plot-building but it was pretty grand. Talon (Talon #1) by Julie Kagawa – You guys, I LOVE dragons and stories about dragons and boy was I excited to hear that Julie Kagawa was releasing a dragon/shapeshifter series. I was a big fan of her Iron Fey series and I was so super stoked about this one. The story was good, it wasn’t horrible but I wasn’t completely in love with it either. It was just good. I’ll continue reading the series because I am hoping it will get better but this book was just ‘meh’ for me. Ignite Me (Shatter Me #3) by Tahereh Mafi – THAT ENDING! I will admit that I was pretty certain that we would get this ending just by the way the story had progressed but I was still shocked that it happened! And I’m still in shock that this series is over. If I Stay (If I Stay #1) by Gayle Forman – This was such a great story and I made sure to tell anyone who would listen to read it and make sure to check out the movie too! Best series I started: Divergent (Divergent #1) by Veronica Roth – I don’t know why it took me so long to get around to reading this but I made sure to read this before the movie debuted! So good! Best Sequel: Where She Went (If I Stay #2) by Gayle Forman – OMG this sequel guys!! I was on an emotional bumpy ride and I was happy to be aboard! Best Series Ender: Ignite Me (Shatter Me #3) by Tahereh Mafi – EEK! I was so happy. So very, very happy. Gayle Forman – Her If I Stay series was just so great, I am now a big fan of Gayle Forman and I am definitely planning on reading more of her stories in the future. I didn’t ready any books in 2014 that were too outside my comfort, but I plan to in 2015! Ignite Me (Shatter Me #3) by Tahereh Mafi – Most definitely a thrill ride! 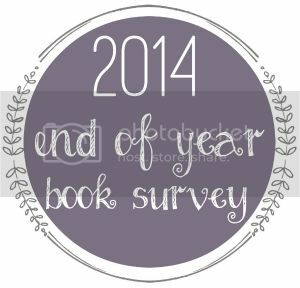 Book You Read In 2014 That You Are Most Likely To Re-Read Next Year? 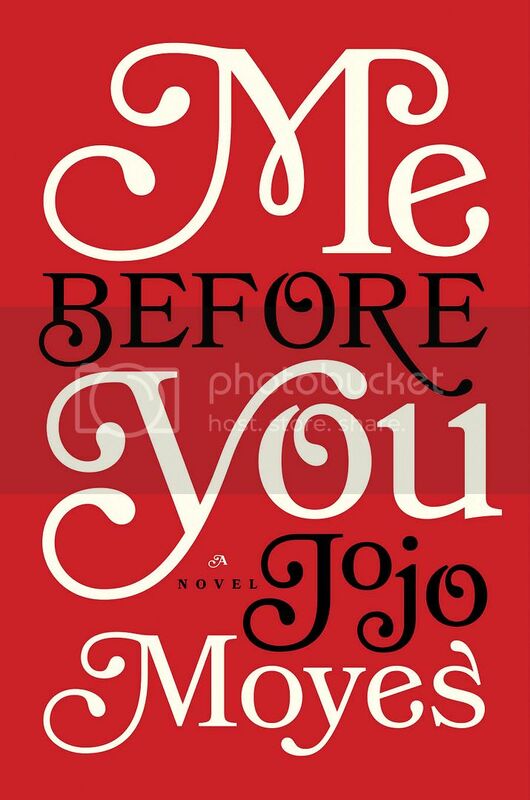 Me Before You by Jojo Moyes – I may re-read this one before the movie comes out, if it comes out in 2015. 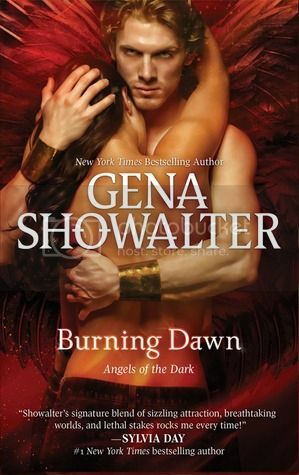 Burning Dawn (Angels of the Dark #3) by Gena Showalter – Two Words: HOT DAMN! Will Traynor: Me Before You by Jojo Moyes – For some obvious reasons and for surprising me at every turn. Ignite Me (Shatter Me #3) by Tahereh Mafi – If I read of book of hers any year, it will always end up in this category. Her words are like poetry that ebb and flow and create brilliant pieces of imagery. Me Before You by Jojo Moyes – Reading about someone that has pretty much lost everything makes you appreciate all the things you have, and are able to do in life. Harry Potter and the Sorcerer’s Stone (Harry Potter #1) by J.K. Rowling – What the heck took me so long?! Shortest & Longest Book You Read In 2014? The Kiss of Deception (The Remnant Chronicles #1) by Mary E. Pearson – This book was chalk full of deception (as its title appropriately alludes to), but there was one deception I was not expecting. It caught me full on by surprise and I had to put the book down and just stare into the void of my bedroom with my jaw on the floor. I won’t spoil anything but telling you specifically which part, but I hope I wasn’t the only one that was fooled!! 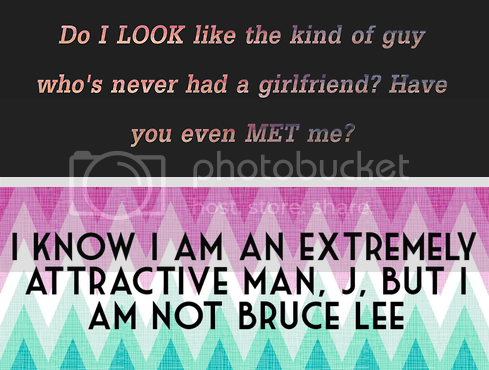 Kenji Kishimoto and Juliette Ferrars: Ignite Me (Shatter Me #3) by Tahereh Mafi – I was constantly in a hysterical stupor when these two would start their banter. I love Kenji so much and especially loved his and Juliette’s friendship. He always seemed to get her to focus when she was going off-course or too deep into her thoughts. Ignite Me (Shatter Me #3) by Tahereh Mafi – Such an intense series, I was sad it came to an end but this is one I will definitely revisit in the future. It was so easy for me to get lost in Tahereh’s words and this story! Me Before You by Jojo Moyes – This gem of a book came highly recommend by Jess. She always has the best recommendations so when she looked me in the eyes and stated point-blank “Lety you are reading this.” Well I had to, of course! I was not disappointed! Adam Wilde: If I Stay (If I Stay #1) by Gayle Forman – *sigh* Oh Adam! Such loyalty, and love, and dedication, and pain, and love, and restraint. And he’s a musician! BONUS! Dead Witch Walking (The Hollows #1) by Kim Harrison – I was fascinated in reading about the Inderlanders and how their world meshed with the human world and how the Ever-After came into play. Inderlanders consisted of witches, vampires, werewolves, pixies, fairies, demons, leprechauns, trolls, elves and lots of other interesting creatures. The Inderlander/Human world was a very bustling world with lots of enthralling characters. Light My Fire (Dragon Kin #7) by G.A. Aiken – Any time I step back into this series with the latest book I have tons of fun reading and laughing along with these crazy characters. Always a fun ride! If I Stay (If I Stay #1) by Gayle Forman – The tears were steadily flowing throughout this book! Emotions were running high and I just couldn’t stop myself from crying! Me Before You by Jojo Moyes – Definitely took me by surprise on how good it was! Where She Went (If I Stay #2) by Gayle Forman – I was already an emotional wreck after reading If I Stay, but this one was just heart-wrenching! Very emotional and a great ending to this series. The Giver (The Giver Quartet #1) by Lois Lowry – This book wasn’t unique in the sense that it was a dystopian, children’s, science-fiction, fantasy story which are very common. Why I thought it was unique is because it was written in 1993 and had such a fresh take on the whole dystopia story-line and very heavy morals to learn from it. I was impressed by this novel and it was no wonder it had won so many literary awards. 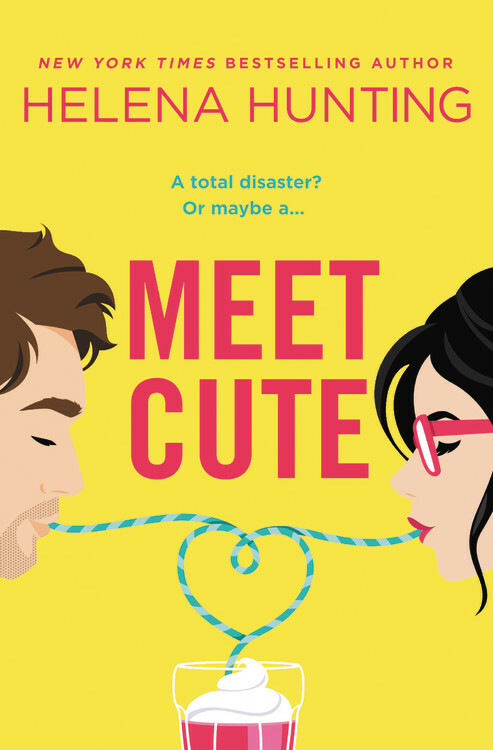 Bookalicious Babe Book Reviews – Love this blog visually and also enjoy the rating style and the reviews. I am slacking in this area since I only had two reviews this year, my favorite of the two was my review of The Here and Now by Ann Brashares. My Top Ten Tuesday: Places Books Have Made Me Want To Visit post from October. I had lots of great comments and discussion of places that books made us daydream about. I would say it was my most popular post and I did lots of searching to find just the right picture for each one! My review of Defy by Sara B. Larson, I thought I was in full on quirky and witty mode with this review and would’ve liked some more love! But I got a few great comments! Best bookish discover (book related sites, book stores, etc.)? The Book Depository – Had no idea this existed until Jess pointed it out to me recently. I made my first purchase in December! In 2013 I read 52 books, so I averaged about a book a week. For 2014, originally I had set out to read 60 books but that was just not going to happen. It was not my best reading year, so I had to change my goal a few times and am currently trying to make my 25 books mark, which I am confident I will reach by the end of 2014. J Not the best but still better than reading no books at all! Lol Silver lining ya’ll! 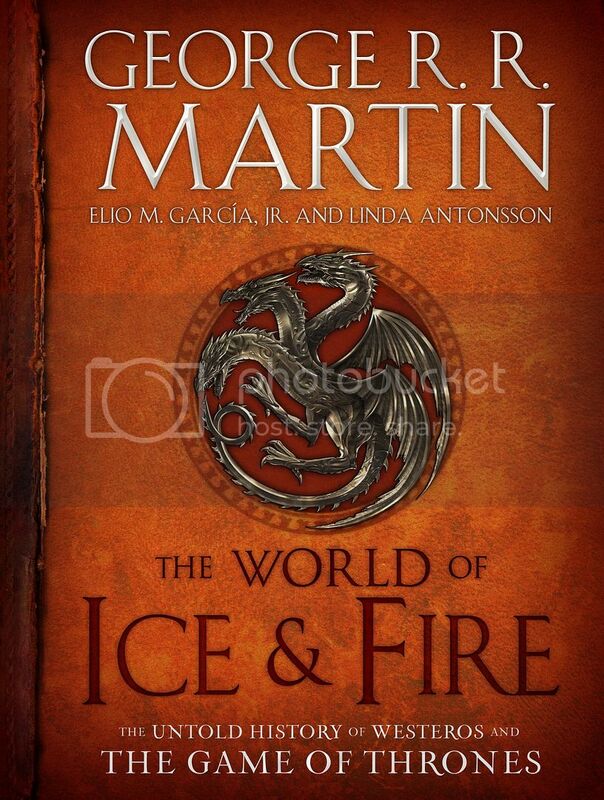 The World of Ice & Fire: The Untold History of Westeros and the Game of Thrones (A Song of Ice and Fire) by George R. R. Martin – I pre-ordered this beauty of a book and I have yet to read it! It is jam packed with wonderful artistic representations of the castles, characters, animals and lands of this series. It also delves deep into the history of the families we have grown to love and hate during this series and I am making this one a priority for 2015! 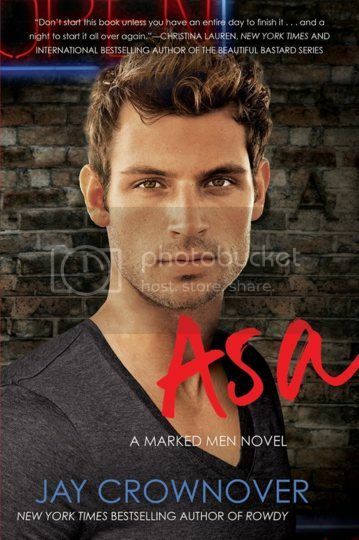 Asa (Marked Men #6) by Jay Crownover – Yessss we finally get Asa’s book!! I’ll confess I am behind on this series but when I heard that Asa’s book was coming out in 2015 well that made me all kinds of schoolgirl excited! Guess I need to read those last two novels!! My Heart and Other Black Holes by Jasmine Warga – This debut book sounds like a very emotional and heart breaking story that is sure to bring me to tears. This is why I must read it!! Bring on the emotion baby! 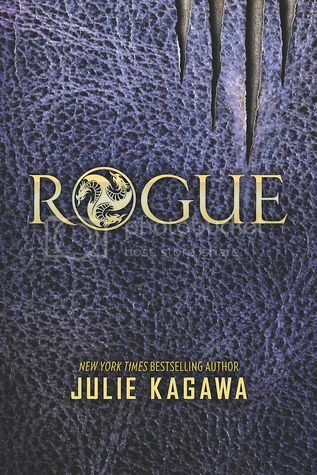 Rogue (Talon #2) by Julie Kagawa – I am anticipating this sequel the most so I can try and make sense of all the loose ends in the first one. As I mentioned before, Talon was not my favorite book this past year but I am hoping it will get better with the sequel in 2015. Reading/Blogging Life: Must. Write. More. Reviewssssss. IRL: Marry Benedict Cumberbatch. A girl can dream right? I haven’t read any 2015 pre-release novels, but if you have please comment me your recommendations! I’d love to hear them! Awesome list :] You read some good books this year! I really need to read Kiss of Deception. Oh Harry Potter! My favorites are 3, 5, & 6, although 5 & 6 crush my soul every time I reread. 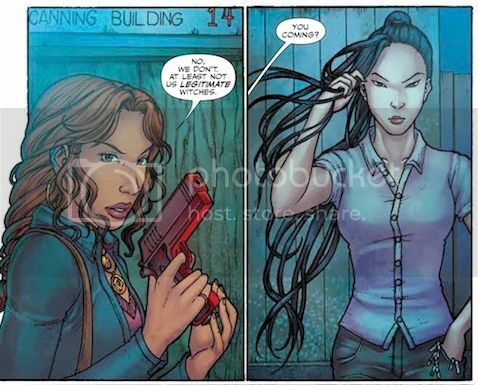 You definitely need to pick up Red Queen for 2015. So good!